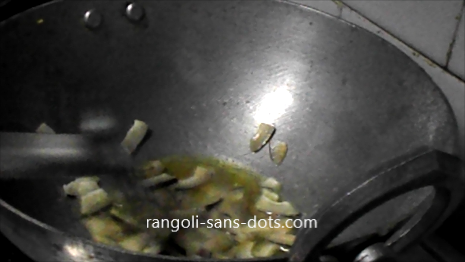 Actually a simple recipe for Deepavali savoury or as a simple evening snack when we have guests. It is liked by kids and adults alike. It has one more strange use in our family. 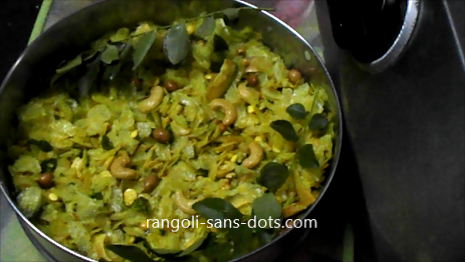 It is a side dish for sambar rice or rasam rice. 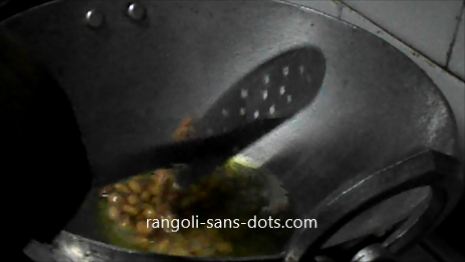 Also called chivda or chivda namkeen recipe in Hindi and Marathi. 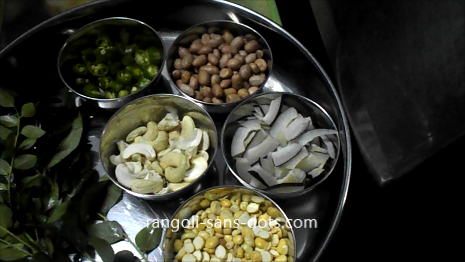 This I learnt from one of my sisters and she lives in Mumbai. .
For this big cup we need one cup each of peanuts, fried gram dhal and dry coconut pieces., some cashews and curry leaves. 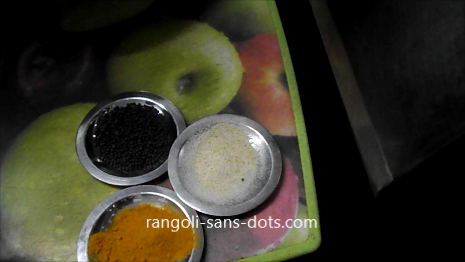 For species we should add mustard, turmeric powder and hing. 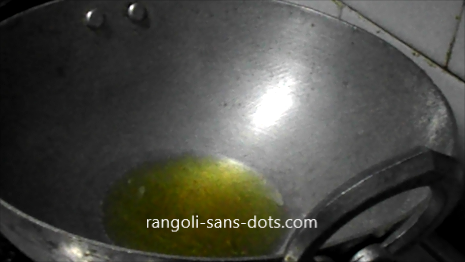 Fry the fried gram dhal by adding it to oil . 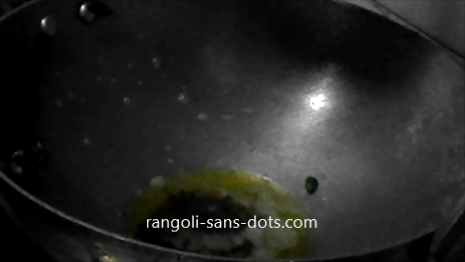 Remove it immediately to avoid overcooking. 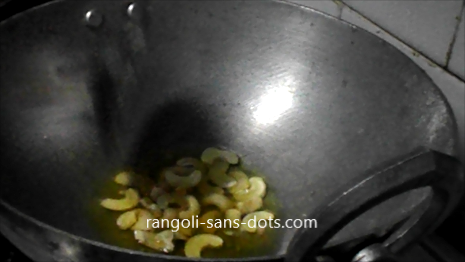 Next to little oil, add mustard when it splutters add finely chopped green chillies . 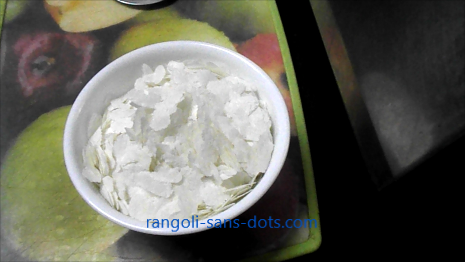 These chilles also should become white in colour..
Sprinkle asafoetida after all the ingredients are fried. 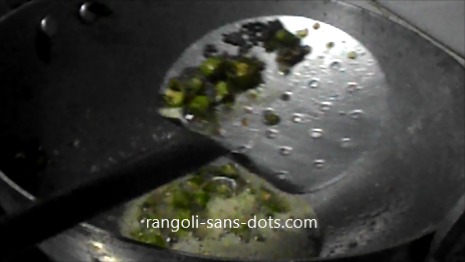 Finally add the poha or flattened rice. 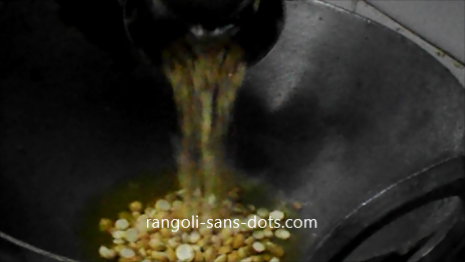 Turmeric powder is added now . This is also to ensure that turmeric powder is not over cooked. Add salt as per requirement. I add quarter teaspoon of sugar.